Seriously, I think I’m in love! This is gorgeous, look’s so cozy and absolutely delicious! Wow! If that tastes as good as it looks, I’m sure it was fab. Great job! Thanks Liz for all your support! 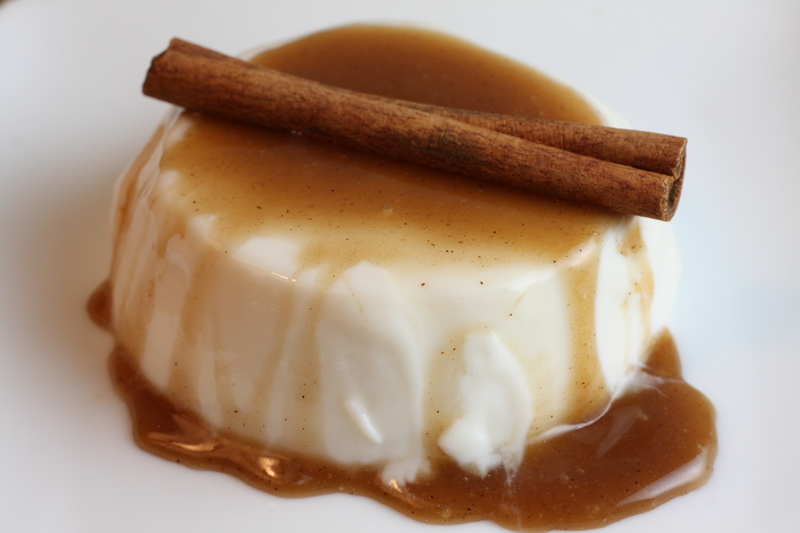 I wouldn’t describe Panna Cotta as anything LIKE “yogurt” or “pudding”, and i definitely wouldnt call it “acetic”. Why would it be, when theres no vinegar or lemon, or anything in it that would make it “acidic” (?) which is probably what you meant to say, but which is also, inaccurate! A good Panna Cotta DOES have a slightly jelly-ish consistency, it does after all have gelatine in it. Its a delicate, sweet jellied cream, usually with vanilla in it. That is what a classic Panna Cotta is.